Mayor Rahm Emanuel said Chicago Public Schools have one goal: to prepare students to go on to college. NEAR NORTH SIDE — One of the city's top selective-enrollment high schools will expand by at least 300 students in a project scheduled to be completed by the end of 2015. Mayor Rahm Emanuel announced a $17 million addition to Walter Payton College Prep at an appearance at the school on Wednesday. The addition, paid for through Tax Increment Financing funds, will allow the school to accept 300 to 400 more students than its current enrollment of 895. "They're a city treasure and a city resource," Emanuel said of Payton, which is routinely ranked in the top 100 high schools in the country, and is ranked second in the state by U.S. News and World Report. Payton students averaged a 29.5 out of a possible 36 on the ACT last year. CPS parent Patricia O'Keefe said she bears the "battle scars of the selective-enrollment process." Last year, some 6,200 students applied for the 220 available spots at Payton, 1034 N. Wells St.
Across the city, 18,000 Chicago Public Schools students applied for the 3,000 available freshman seats at selective-enrollment high schools. There are a total of 12,000 selective-enrollment slots citywide, although CPS also is expanding Jones College Prep. 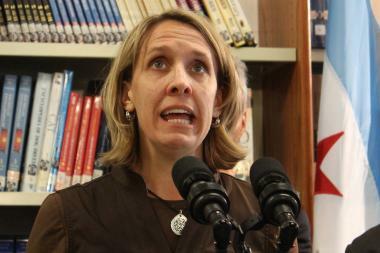 "We don't have enough selective-enrollment schools in the city of Chicago," said Ald. Walter Burnett Jr. (27th), who called the Payton expansion "a great addition." Patricia O'Keefe, who has three kids at three CPS schools, said she bears the "battle scars of the selective-enrollment process," describing how many parents are "panicked by high school by the time your child reaches third grade." O'Keefe called the Payton addition "a logical, common-sense way to add selective-enrollment seats," adding, "Anything that alleviates that stress and adds good options is good." She said that "every single seat is a child," and the Payton addition will mean opportunity for 300 top CPS students a year. Payton Principal Timothy Devine said details were still being ironed out, but that the additional students would not compromise the school's emphasis on quality education. He said the school would retain about the same ratio of students to teachers at 27-1. "We will not let the quality of education decrease," Devine said. "If anything, it will be enhanced." Emanuel credited Devine with first suggesting the expansion a year ago, saying, "We have more kids we could accept than we have placement." 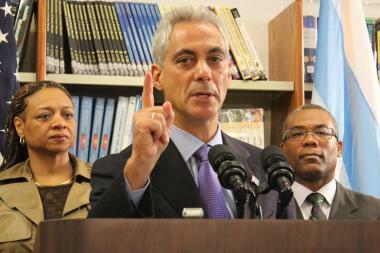 "This is all also giving parents a set of choices," Emanuel added. O'Keefe echoed Emanuel in touting the expanded Science, Technology, Engineering and Math programs and the International Baccalaureate curriculum in use at more neighborhood high schools. "Over the past few years, there's been a lot of movement, a lot of momentum," she added. The addition is expected to be built on the school parking lot, with construction to start next summer. "We have a goal for every child in the city of Chicago," Emanuel said. "You are going to be college-ready, and you are going to be college-bound."